CareFusion AirLife Misty Max 10 Disposable Nebulizer efficiently delivers fast and effective treatment to a wide range of patients. It features advanced, one-piece jet design that delivers high output rates, helps contribute to faster treatment times and supports consistent medication delivery. The anti-spill design prevents medication wastage and allows the unit to be used at an angle to accommodate various patient positions. AirLife Misty Max 10 Nebulizer is recommended for single patient use. 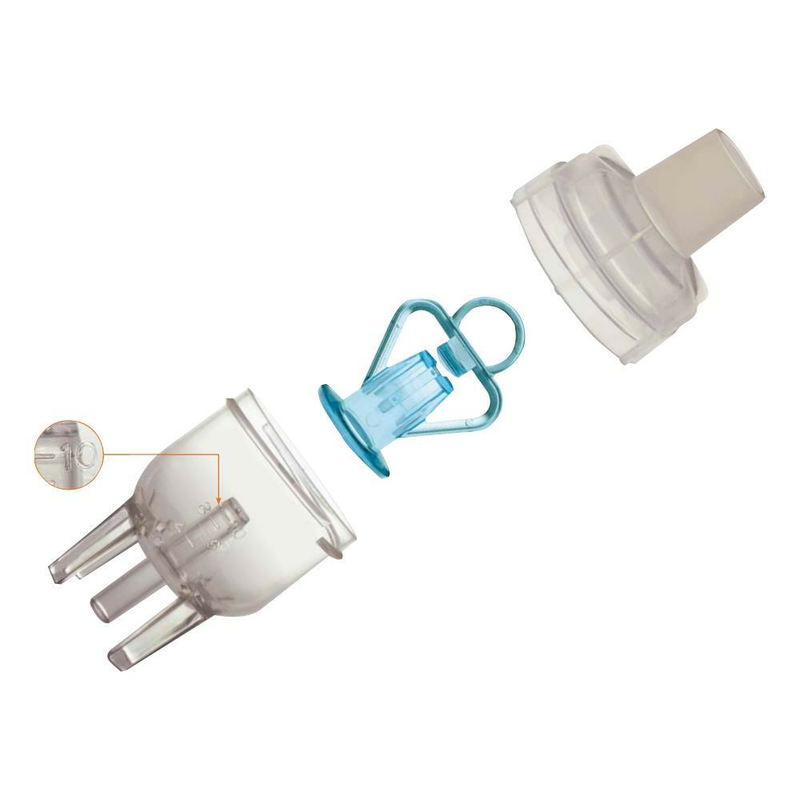 Particle size is an important characteristic of nebulizer performance. Misty Max 10 Nebulizer creates finer particles with a tighter distribution than any of the other nebulizers tested. As a result, the respirable fraction performance of Misty the Max 10 nebulizer is significantly higher than that of competitive products. It delivers significantly higher inhaled respirable mass than the other nebulizers when tested in the angled position. Misty Max 10 Nebulizers deliver significantly higher inhaled respirable mass than the other nebulizers when tested in the vertical position. It delivers an averaged inhaled respirable mass approximately 14% higher than the closest competitor. It has the lowest average drug residual volume compared to the other nebulizers tested. Data presented: Mean ±standard deviation. What is the significance of jet technology? Jet technology delivers efficient, high output rates and helps contribute to faster treatment times. Unique, integrated jet/baffle design increases reliability and consistency in medication delivery. 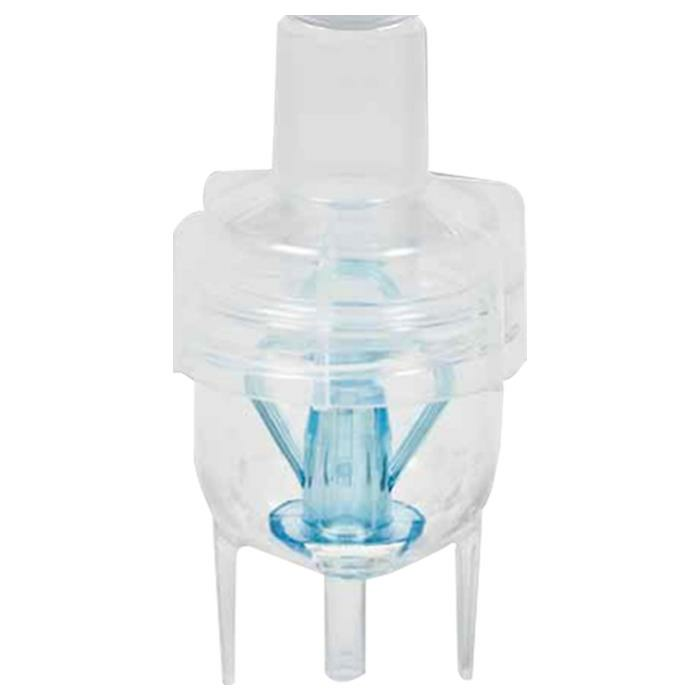 AirLife Misty Max 10 Disposable Nebulizer provides full 10 cc capacity to allow for medication dosing flexibility. Since these are disposable how long can you use them? Disposable nebulizers are only good for 2 weeks’ worth of treatments. Must the blue (inside the cup) agitator piece be snapped into place before attaching the top piece or is it best to place it in there loosely? Will the top automatically hold it down tight? The blue piece inside the cup just places on loosely, once you screw the top piece on it will hold it in place.